See The Glaisnock Guest House on the Autumn 2016 VisitScotland video! 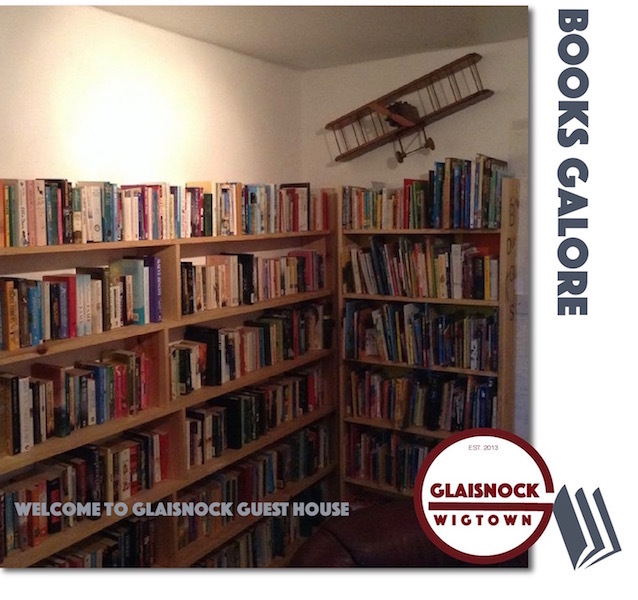 The Glaisnock Guest House plus Shoots & Leaves Cafe is conveniently situated in the heart of Wigtown, Scotland’s National Book Town. Open daily from 10am to 5pm, Monday to Saturday (Sundays on Bank Holiday weekends and during the Book Festival), patrons can enjoy delicious chef-prepared dishes using the finest quality local produce, seasonal salads and vegetables - not to mention tempting cakes, desserts and real coffee. Read more. 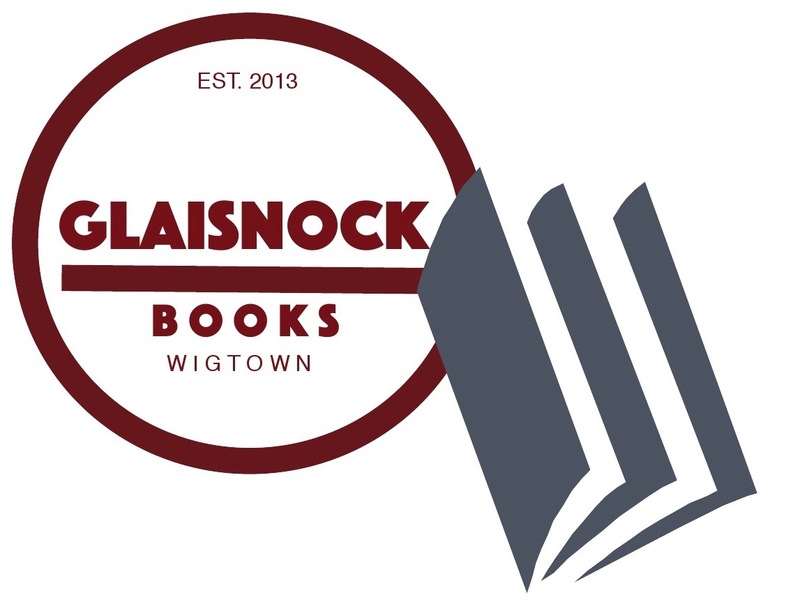 The Glaisnock also offers comfortable accommodation overlooking the main square and gardens - a perfect base for exploring the town's many bookshops and all that this beautiful corner of Scotland has to offer. We have welcomed guests from all over the world who have come in search of tranquil surroundings, stunning scenery and a break away from the cares of everyday life. Read more. If you love books, Wigtown is for you. Scotland's National Book Town offers around a quarter of a million books to browse in the many bookshops, including right here at Glaisnock. The town is also home to an Annual Book Festival in late September. You'll love the tranquil setting and an altogether gentler pace of life here, all of which make for a truly relaxing holiday and a chance to unwind. Read more. 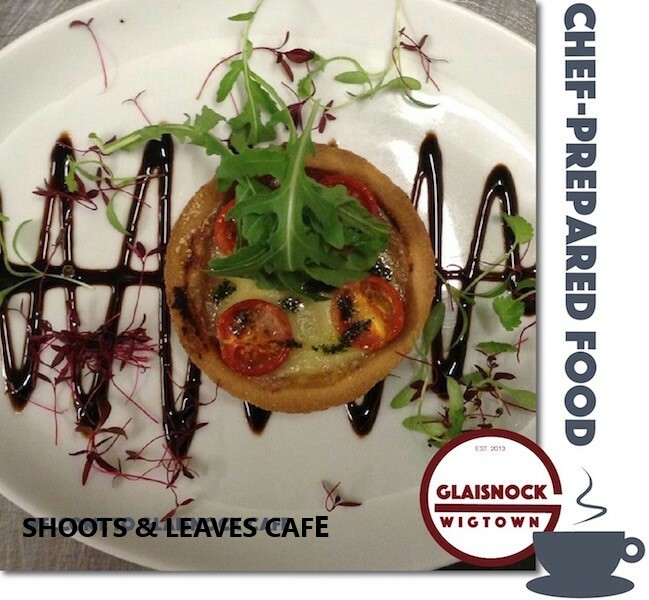 So many great reasons to visit Glaisnock Guest House and Shoots & Leaves Cafe! 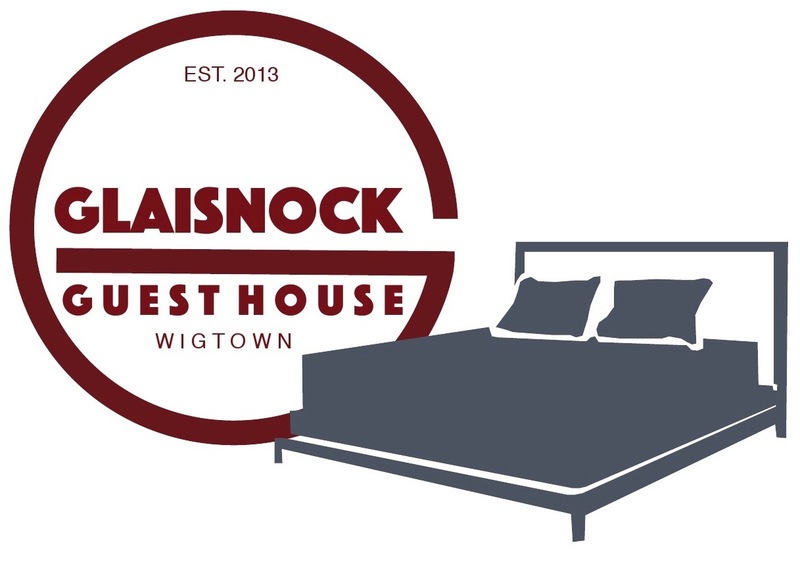 Whether you’re local or a visitor to Wigtown, The Glaisnock offers delicious chef-prepared meals, home-baked scones, tempting desserts including mouthwatering cakes, flame-roasted freshly ground coffee or a refreshing traditional cup of tea, all in cosy surroundings. 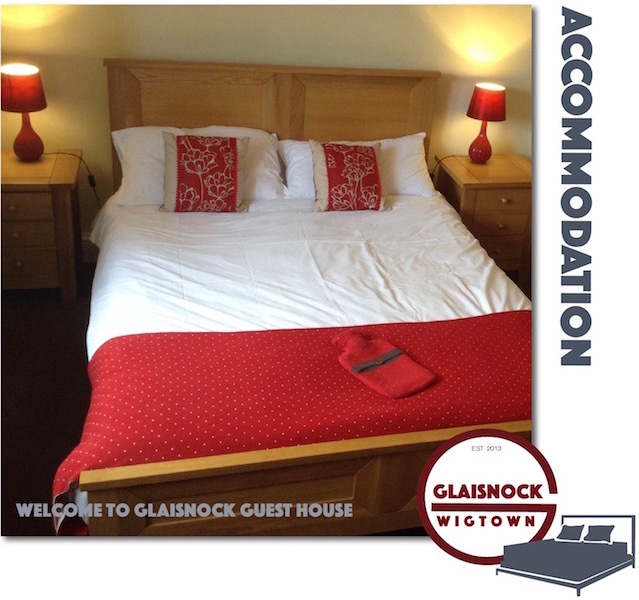 If you’re visiting Wigtown, the Glaisnock offers comfortable accommodation in the heart of this picturesque Galloway town, providing the perfect base for exploring all that this beautiful corner of south-west Scotland has to offer. Of course, as Scotland’s National Book Town, Wigtown is a haven for book-lovers. But the area also offers some of the best scenery and wildlife in Britain - indeed, the Wigtown Local Nature Reserve, based in Wigtown Bay, just a short walk from The Glaisnock, is the largest in Britain and is home to thousands of overwintering geese. The Galloway Forest Park is just 7 miles from The Glaisnock with the world-class 7Stanes Mountain Biking Trails and Dark Skies Park. And if, like many people visiting Wigtown, you’re here for the Annual Book Festival in late September, it’s advisible to book your accommodation early! The Glaisnock, Wigtown, is proud to announce (July 18th, 2016) that Head Chef Frazer Halkett has been chosen as a finalist in the 2016 Menumaster Toasted Sandwich Competition for his Scottish Breakfast Toasted Sandwich. Head Judge, celebrity chef Theo Randall, Picked the winners at the contemporary food-to-go show, in London on September 21st, 2016. We finished third! We've been getting a reputation for the quality of our food! The Glaisnock book-themed Cafe is now the home to Shoots & Leaves, Dumfries & Galloways first completely Vegetarian & Vegan Cafe. We have been growing its reputation for the quality of the food we offer since opening in 2018. Last year, we have been featured in Our Wigtownshire Magazine. 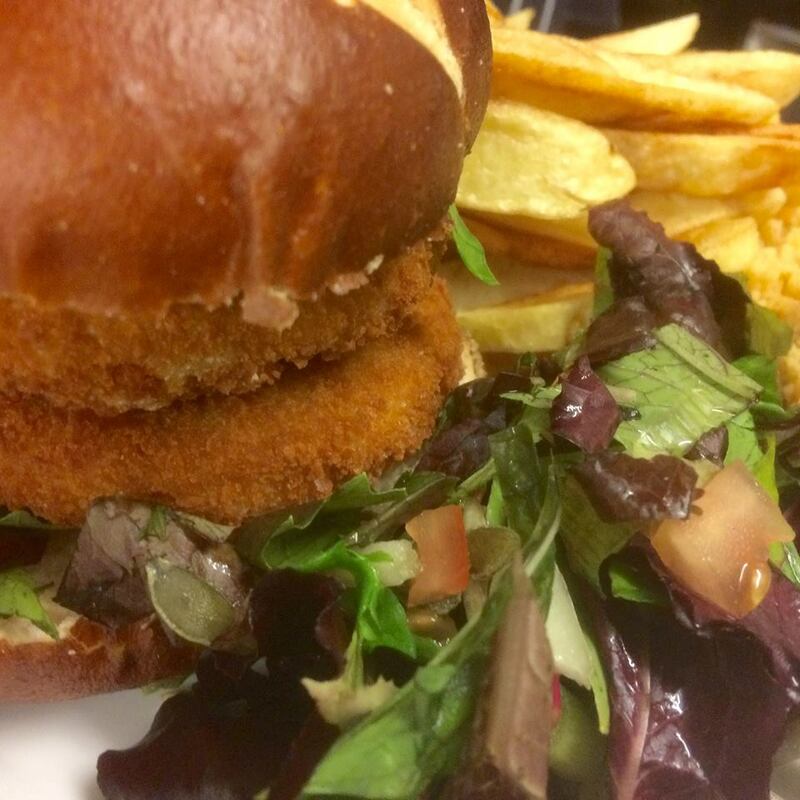 As well as being nominated for best newcomer in the Cafe Awards. Our chef-prepared meals and home-baked scones have also helped to make Shoots & Leaves Cafe one of the most popular places to eat in the Machars. We serve Fresh Ground Coffee and Teapigs Tea.